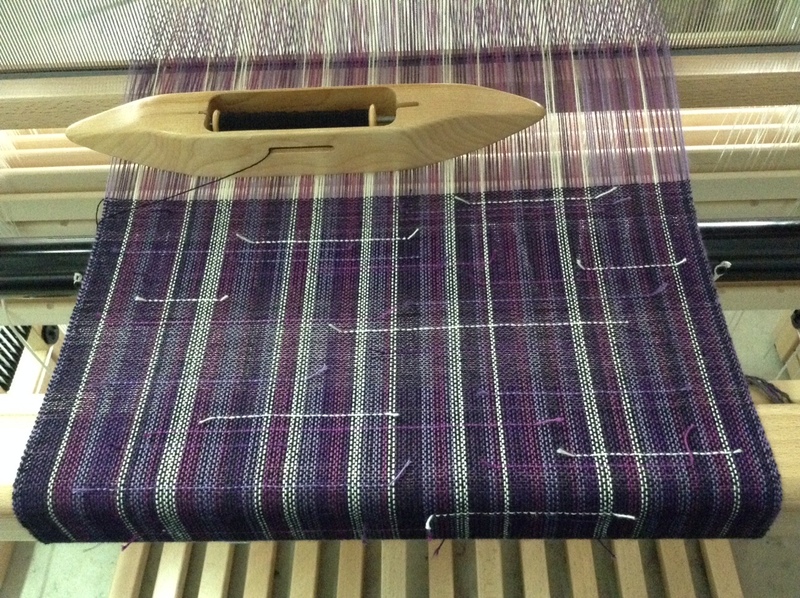 I’m getting to know my Louet Spring Loom with a simple plain weave cloth using 8 shafts, and really enjoying it. At the time of ordering my loom I requested an 8 shaft 110cm width Spring, but on it’s arrival in Australia I was gobsmacked when informed the company hadn’t had any 8 shaft looms in stock so had sent me a 12 shaft loom at no extra cost! 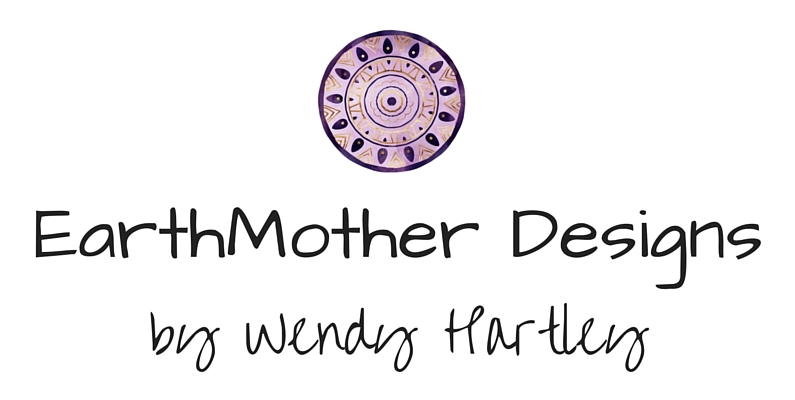 I’m so grateful and impressed with the company! There were a few squeaks while changing the shed which I solved thanks to Jane Stafford’s Helpline and a few strategically placed drops of spinning wheel oil, and I think I’ve got the floating breast beam pretty much worked out. This loom is quiet, has a small footprint for the generous weaving width, doesn’t overwhelm the room it is in, and is a joy to weave on. It seems to be a good size for my height of 5’6″, whereas the LeClerc Colonial loom I used to have was too high and caused me hip pain with treadling, as well as being such tall loom which tends to make me feel claustrophobic in a room. 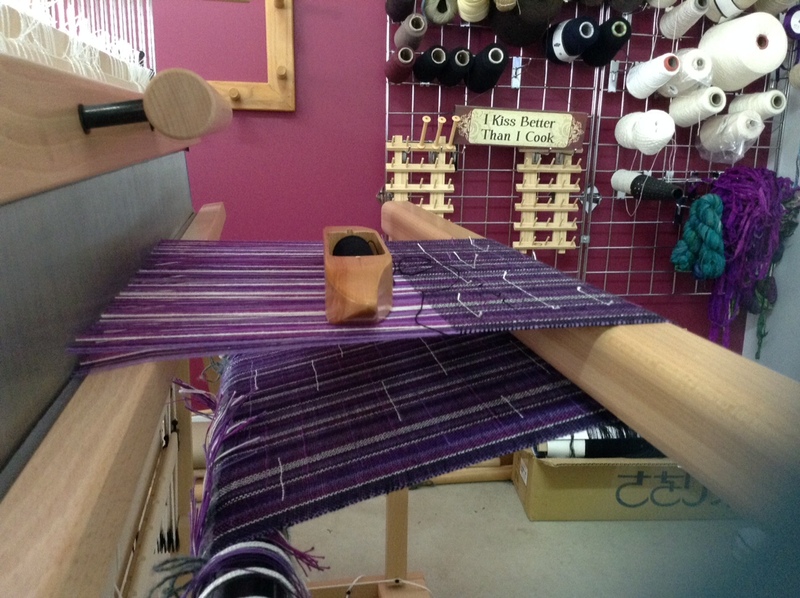 So far, I LOVE MY SPRING LOOM! 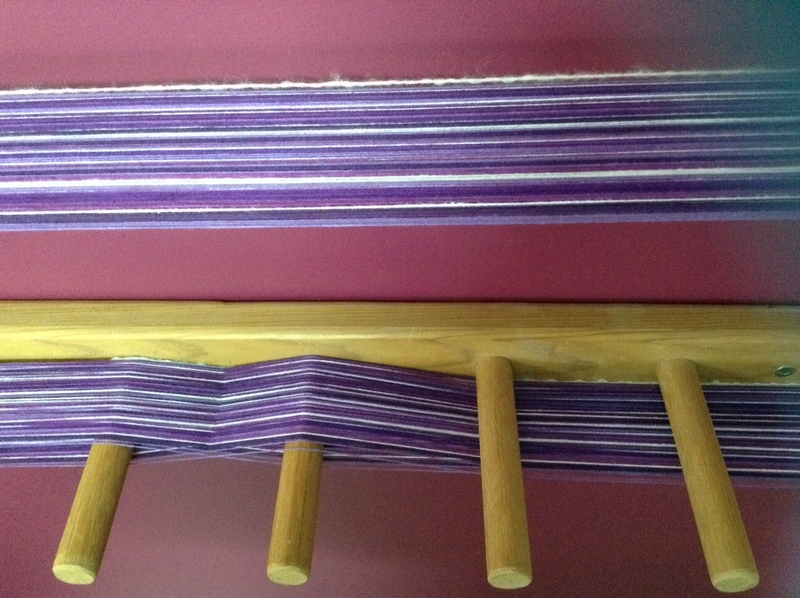 I chose some 8/2-ish cotton yarns and wound a warp choosing randomly from the colours in my purple-y selection. 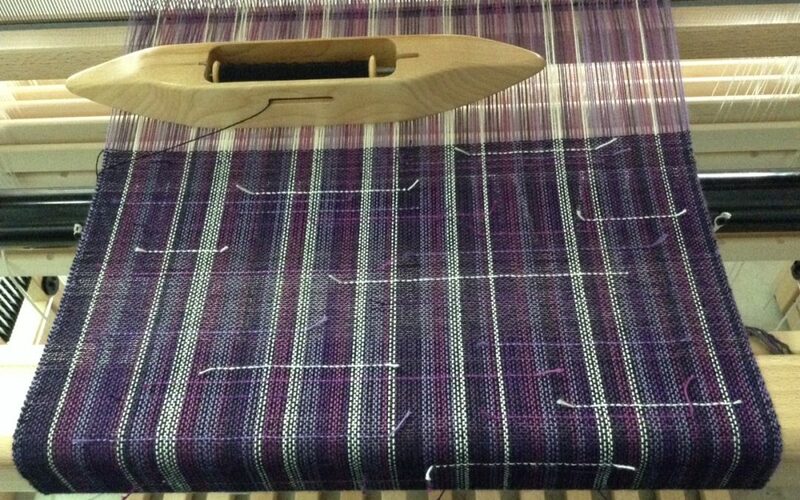 I warped the loom using the back to front method as demonstrated by Jane Stafford on the Louet warping DVD and have decided to lash 10mm diameter stainless steel rods on to the wooden back apron rod as Jane did. I also found the front apron rod bowed with my short warp so I will use a metal rod there next time too, I think. I bought the rod and had it cut to size at a friendly local engineering company. Lucky you. Can you treat us to a picture of the whole loom? It sounds great.